young plants are edible when boiled. young plants are suitable as a potherb. 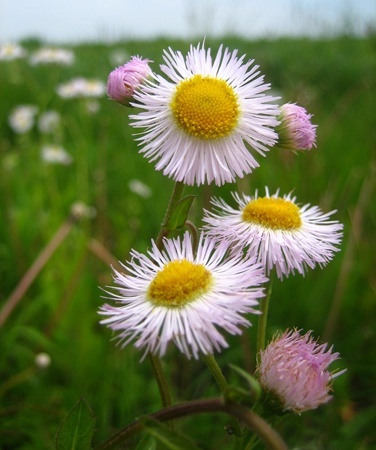 varieties in Ontario are Eastern daisy fleabane (Erigeron annuus) and Philadelphia fleabane (Erigeron philadelphicus). grows in fields, disturbed areas, open woods, thickets and roadsides . warning: may cause miscarriages and should not be consumed by pregnant women.